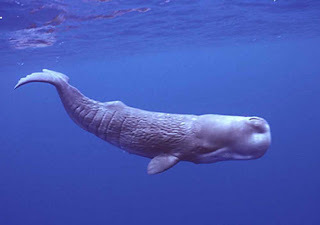 Animal Wildlife | Sperm Whale | The sperm whale is one of the world's water giants and is found in ocean waters worldwide. Although historically known as the common cachalot, the sperm whale gets it's name from the waxy-liquid substance found in it's head, that is used in candles, soap and cosmetics by humans. 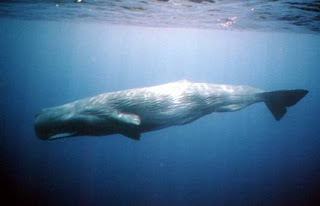 The sperm whale was once found in large groups, known as pods, around the world but extensive whaling of the sperm whale has led to it being classified as a vulnerable species today. 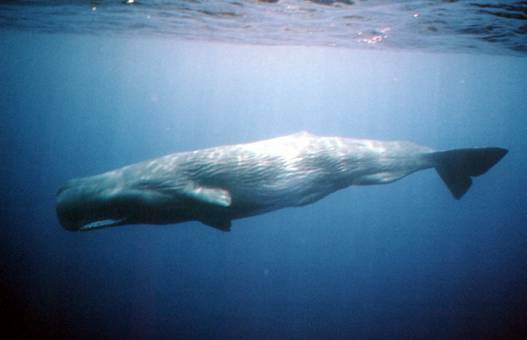 The sperm whale is most commonly found in the deep ocean, where there is an abundance of food and along continental shelves. An adult sperm whale can grow to nearly 70ft long, making the sperm whale the largest toothed animal on the planet (although about a third of the length of the sperm whale is made up of it's head alone). 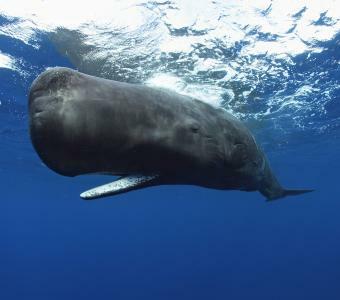 Sperm whales have around 50 large teeth in total, which are cone-shaped and weigh about 1kg each. 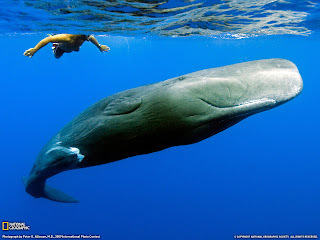 Sperm whales are not only one of the world's biggest animals but are also one of the deepest diving animals in the ocean (along with elephant seals and bottlenose dolphins), and commonly dive to depths of nearly 500 metres for up to half an hour at a time. 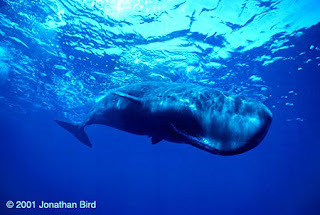 It is believed however, that sperm whales are able to dive much deeper reaching depths of around 3 km for periods of 90 minutes or more. The sperm whale is one of the ocean's largest and most dominant predators, feeding primarily on medium sized squid. The sperm whale is also known to hunt larger squid species including the colossal and giant squids, and also octopus and large fish. The sheer size of the adult sperm whale means that it has no real natural predators in the ocean, besides being over-hunted by humans. The smaller sperm whale calves however have been known to be taken by killer whales and occasionally large sharks. 0 Response to "Sperm Whale"